In 1869 Alnwick Board of Health assessed the eighteen footways that it was responsible for maintaining, and nine that were in the care of others. In most cases the route they describe can still be traced: either on the ground, or on a 19th century map. 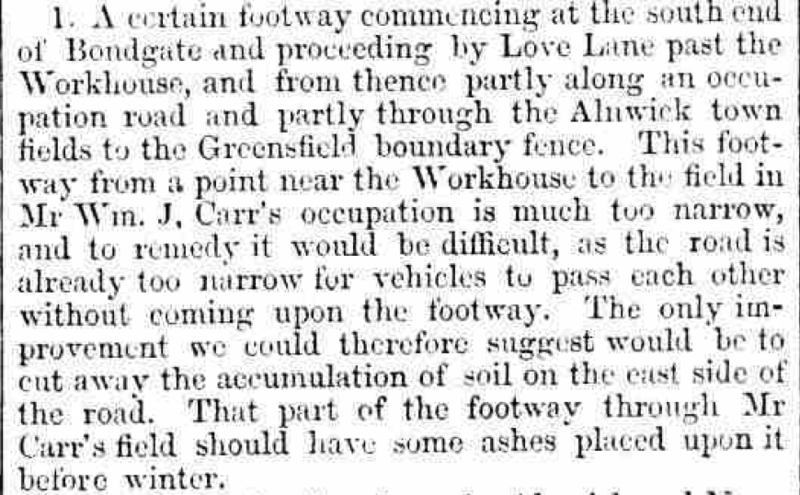 Some of their footways no longer exist, but many do, and we thought it might be interested to revisit and update their assessment from almost 150 years ago. However, in some cases we are finding it difficult to trace the original route. Is anyone able to help us plot the route described here?